1. 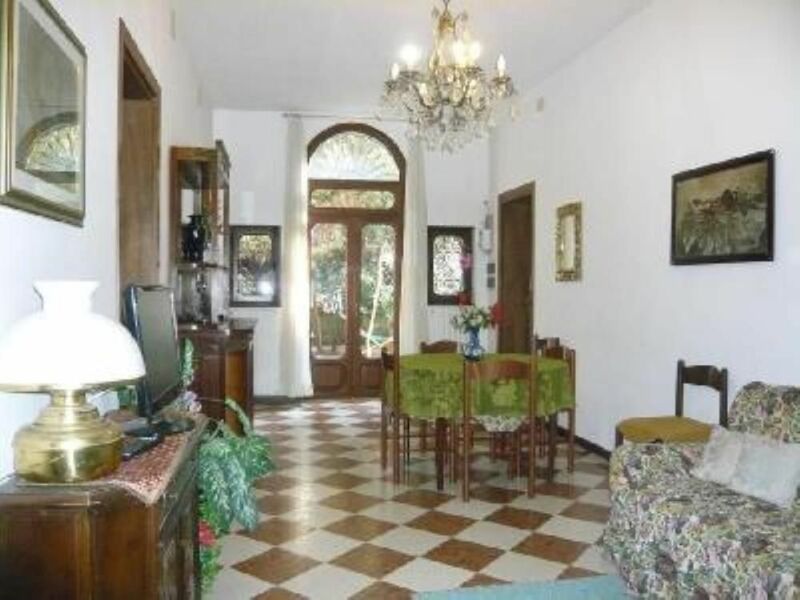 Ideal location in CANNAREGIO, REAL HISTORICAL CENTER of Venice. 2. Independent entrance with EXCLUSIVE PRIVATE GARDEN with table, chairs, etc. 2. JUST RENOVATED. So absolutely clean and confortable. 3. FREE WIFI INTERNET CONNECTION and washing machine available. Everything has been absolutely fantastic and perfect. I do thank them for everything but above all for their extreme kindness! "Owners sent someone to meet us at vaporetto stop and help with luggage. We were there for a month. Apartment was well situated and very clean. The garden was lovely. Owners were fast on email communication. Was there through 2 earthquakes in May and nothing fell apart. Only cautionary comment would be that wifi was advertised and was needed by ourselves - and there was wifi - but connectivity was very sporadic and very low and often at about 11 pm it disconnected, once for the whole day. The connection was in another apartment so we could not do anything but wait. "We loved this apartment. It was great for our family and in such a great quiet location. We were able to walk everywhere, and still be in a non touristy area. Fantastic. My only suggestion would to include tablets for the dishwasher ( normally renters shouldn''t have to buy their own for 3 nights). Some olive oil and sugar would be good too. I would definitely recommend this apartment." "The flat was excellent. Very large and airy with high ceilings, large, spacious rooms and lots of nice touches in the decoration. Really wonderful. I'd have no hesitation in recommending it at all." "This is a lovely property: roomy, well-kept, well-situated, away from the tourist throng but with easy access to all necessary amenities. I recommend it warmly. The owners are friendly and helpful." "In a quiet location, conveniently located for access to vaparettos, shops and restaurants. Accommodation was clean and well equipped. The garden was ideal for children and eating outdoors." Located in Cannaregio, the real historical Center of Venice, at Madonna dell'Orto, near the Ca d'Oro. Easy access from both the airport and the train Station. Easy for going to Murano Island. Just 10 minutes by walk to Rialto bridge and just 15 minutes by walk to S. Mark square. Very peacefull location but just 3 minutes by walk from the main road.